Christina Esposito looks for an opening. The senior attacker and the Wildcats face a daunting two-game stretch this weekend. Midterms approach next week for Northwestern, but the Wildcats won’t just be tested in the classroom as they take on two top-20 opponents in three days. No. 18 NU (7-6, 3-0 Big Ten) will host No. 6 Penn State (13-1, 3-0) on Thursday in a showdown featuring two teams unbeaten in conference play as well as a rematch of last year’s Big Ten Tournament semifinals. Just two days later, the Cats will turn their attention to No. 20 Duke (7-6) in a rematch of last year’s season opener. NU split its season series against the Nittany Lions last year, losing 17-13 in the regular season and winning 9-6 in the Big Ten Tournament. Coach Kelly Amonte Hiller said this year’s Penn State team is similar to last year’s, which means the Cats will need to capitalize on every opportunity. When NU played the Nittany Lions in the regular season last year, the Cats couldn’t contain Penn State’s shooters, conceding 17 goals and letting their Big Ten foe control the tempo of the game. 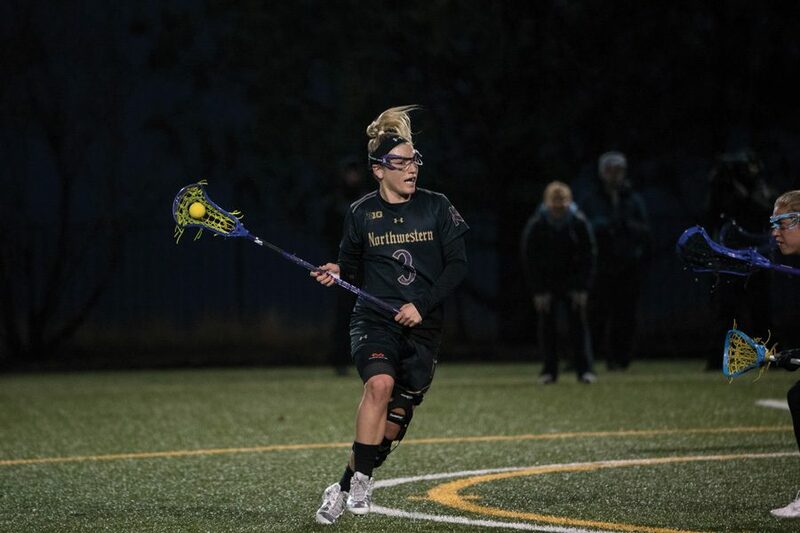 However, the teams’ second matchup went differently, as then-freshman goaltender Mallory Weisse commanded the defense, holding one of the hottest offenses in the country to just 9 goals. Coming into Thursday’s contest, Weisse has held opponents to single-digit scoring in four of the team’s last five games. But the sophomore goaltender doesn’t take credit for the recent string of defensive dominance, instead crediting her defenders for shutting down scoring threats. But defense is only half the game, and NU will need its attacking trio of junior Shelby Fredericks and seniors Christina Esposito and Danita Stroup to work together to put the ball in the back of the net. Last week against Ohio State, Stroup and Fredericks recorded career games, as the former scored a career-high 6 goals and the latter a career-high six points. The Cats scored 15 goals as a team, marking their highest goal total since early March. Esposito said the team will have to come out with the same fire Thursday against one of the best defenses in the country. Following their game against Penn State, the Cats will have a short break before hosting the Blue Devils, against whom they opened last season with a win. Amonte Hiller, however, said all the focus in on Thursday’s game, and the team will wait to worry about Duke until Friday.